Hello, everyone. I started playing Football Manager about five years ago, which makes me a relative newcomer to this fascinating game. I've always loved to write, and about 15 years ago, I started writing "dynasty stories" based on Out of the Park Baseball. I discovered I enjoyed creating a wider setting for the game on the field; it made my engagement and immersion with my career even more intriguing and fulfilling. I'm going to see if I can capture that same kind of enjoyment with a FM 19 save. That's how I ended up in Norway. 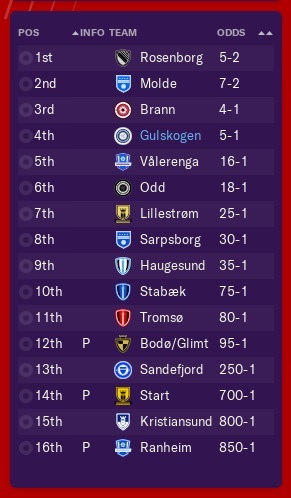 I've used one of the nation's bigger teams, Strømgodset, as the basis of my creation. 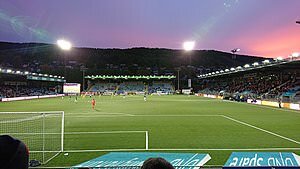 My club is still located in the city of Drammen, and I'm leaving it in its home grounds, Marienlyst Stadium. I'm naming it Gulskogen, after a borough of Drammen that has historical connections to Strømsgodset. I like Godset's dark blue and white strip, so that's not being changed, either. 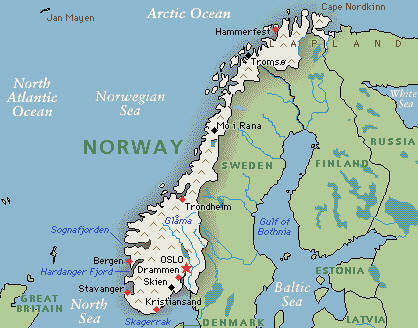 My alter ego, Aidan Harris, is an English manager with Norway as a second nationality. For the sake of the story, I'm giving Aidan some managerial credentials, rather than starting as an absolute beginner. My club will have a few full internationals on its roster, and I don't want them scorning the boss for his lack of experience. There will be plenty of results and stats and numbers here, but I hope I'll create a character you'll enjoy reading about and rooting for (or against). 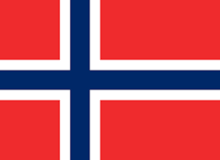 The title of my thread comes from the English translation of Norway's national motto: United and loyal until the mountains of Dovre crumble. That sounds like the kind of team I'd like to create: united, loyal, resolute. I doubt Aidan will be around as long as the mountains of Dovre, but I hope he'll take the Blues to some lofty heights. We'll all find out soon enough. Aidan Harris knew what it was like to hear the crowd sing his name. He was often described as an old-fashioned English number nine: tall, strong, and brave. Whether or not that was a compliment depended on what you thought about old-fashioned English number nines, or whether or not Aidan was wearing your club's colors. He bagged nineteen goals one year for Reading. He put in 22 and 17 in successive years at Burnley. In three seasons with Spurs, he scored 50 in all comps. Aidan won his first full England cap at 21, and he ended up playing 32 times for his country. He scored 15 goals in an England shirt. He would have scored more, had he not missed so much time with injuries. First it was his back, which kept him out of the team for the 2010 World Cup. Then it was his knee. Aidan was picked for the squad that went to Brazil for the 2014 tournament, but a half hour into his first game in the group stage, he twisted his right leg painfully and was stretchered off. Two torn ligaments required surgical repair and months of rehab. In March 2015, he returned to the pitch, back at Reading where he'd started. What pace he had--and it was never that much--was gone, and it never returned. He was only 31 when he retired from international football, missing out on Euro 2016. He hung up his boots for good the next spring. He had begun studying for his coaching badges while he was recuperating from his knee surgery. He had been paid well as a player and he invested it wisely, so he could afford to take some time, accept a position on a club's staff--even a small club--and discover if management was for him. He loved it, and it turned out he was good at it, too. Aidan's name would have opened doors for him at a number of clubs, but he also knew his stature as a former England star would bring added pressure. Honestly, he'd never been completely comfortable in the spotlight; he'd always been humble, even quiet. He'd missed out on some marketing opportunities as a result, but he'd also been able to keep his name and photos out of the tabloids, too. That's why Aidan decided to make use of the other side of his heritage. His father had met, fallen in love, and married a Norwegian girl who was studying with him at university. Aidan had, therefore, grown up in two cultures, English and Norwegian. In fact, he'd nearly declared for Norway twice, both as a youth and a senior player. Now he was, in effect, declaring for Norway as a manager. He figured he'd find a place with a mid-sized club, possibly one in the Second Division. He barely paid attention to the news that Gulskogen, one of Norway's bigger clubs, was looking for a new manager after giving Bjørn Petter Ingebretsen the sack. Then, one morning, on a whim, he forwarded his CV to the club's directors. Two days later, he found himself in chairman Egil Meland's office, interviewing for the position. Aidan thought the interview went fairly well. That night on the phone, he told his brother Jack he thought he'd learned a few things that would help him the next time he interviewed for a position. When Meland called, two days later, to offer him the position, Aidan nearly dropped his phone. A few hours later, he'd booked a flight to Oslo and a train ticket from there to the city of Drammen, perhaps 50 kilometers away, where Gulskogen called home. Now Aidan would be calling Drammen home, too. Following! Great introduction so far, I hope you keep the story up! Thanks very much, both of you! I'm encouraged by the fact that some of you seem to enjoy a thread in which the actions on the pitch are part of a larger story. I enjoy creating a tale like this, because it helps me become that much more immersed in the save. Several weeks passed by as Aidan established himself at his new club and in his new city. He found a comfortable, affordable flat not far from a train station, which made it easy for him to get to Gulskogen's facilities. The club's grounds, Marienlyst Stadium, were set against a backdrop of hills, and Aidan thought it was a very pleasant setting for a stadium. 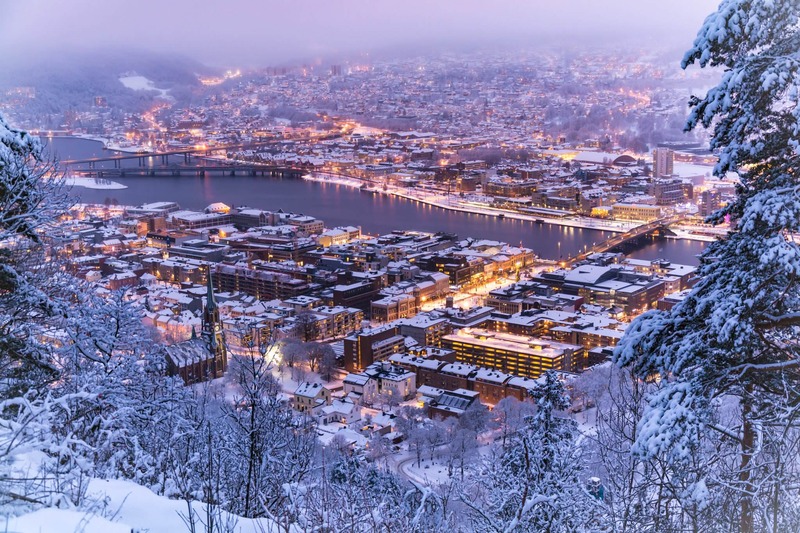 He also found Drammen to be a beautiful city. He enjoyed relaxing with a walk along the Drammensfjord after training. The winter weather was colder than what he was used to in England, but Aidan decided it was invigorating. All things considered, he was happy with life away from the pitch. Likewise, he had no room for complaints about his job. He had decided to leave the backroom staff in place; they knew the club and its players, and unless Aidan found he couldn't work well with them, he figured the players' adjustments might be smoother if they could work with familiar faces at the training ground. He discovered he really liked Håkon Wibe-Lund, his assistant manager. Håkon had been a defender, which nicely balanced Aidan's experience as a forward. Aidan was impressed with his professionalism, his ability to relate to young players, and his eye for talent. He was also happy to discover another Englishman, Martin Foyston, on the coaching staff. Martin had been in Norway for five years, including a stint with the national team. His tactical knowledge was extensive, and he had a knack for motivating players. The team would be playing two friendly matches before embarking on a training trip to Turkey. By then, Aidan hoped he'd have a feel for what kind of team he'd inherited. Got to agree with the rest, great start to this, interested to see how far you can take it. Certainly looks like a great place! Thanks, King Cactus. 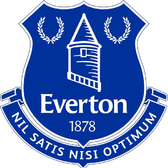 I'll often choose a club to manage because I like their badge or colors, or because they're located in a city or town I find appealing for some reason. Drammen seems like a wonderful setting for a career story. EDIT: I made a right mess of my Gulskogen save, largely because of my cluelessness about the rules of the Norwegian Premier League. After some thought, I decided to take a step back, reboot, and proceed with a fresh start. It all began when I realized that the League requires a team to register at least two players who were trained at the club for three years before their 21st birthdays. I hadn't chosen any players who met this requirement when I picked my team. Fortunately, I "auto-filled" my team after I picked the ones I wanted, and among the "auto-picked" players were a number of lads who had spent their formative years at Strømgsodset. 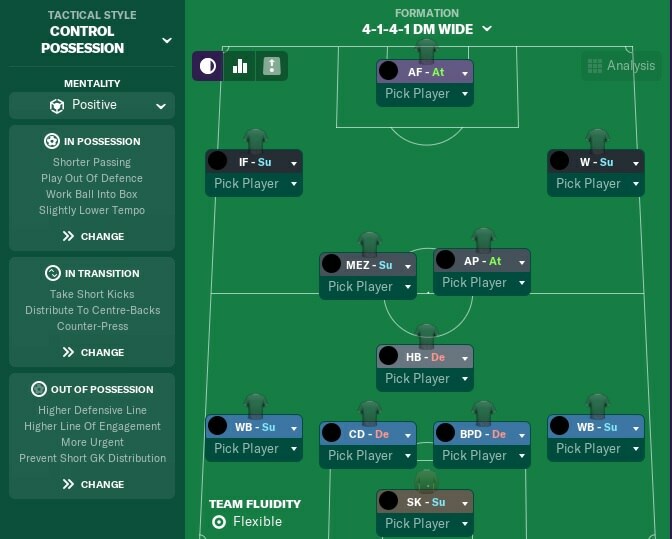 None of them were close to being ready for the first team, but I picked the best of them for the 25-man squad I registered for the league. That meant I had to leave two much better players out. Both of them promptly pitched fits and, to make a long-ish story short, none of their influential teammates nor I could soothe their bruised egos. They destroyed any semblance of unity the players had forged, dividing the changing room into rival cliques. At first I thought, "Well, that's football," and began to think about how I would write about the tumult surrounding my club. Then I realized I couldn't explain the screw-up without making my character look far more clueless than any real football manager would be. Real managers don't create their clubs from a blank slate. They inherit a squad full of players, some of whom would have been first team players who graduated from the club's youth program. Aidan Harris would never have been in a position to make the mistake I did. So, I'm re-writing the post in which I introduced you to my team, reflecting the new "take" on my story. After a pre-season that saw his Gulskogen team rout one opponent after another, Aidan believed they were ready for the Premier Division season. They were mostly healthy; striker Ohi Omoijuanfo had tweaked his right thigh in training three days ago, and wouldn't be ready for the season opener, but otherwise Aidan had a full squad at his disposal. Aidan had made a good living as a no-frills target man, but as a manager, he liked to see his teams play from the back, patiently waiting for an opportunity to strike. When they lost the ball, he wanted them to win it back in a hurry. Against a stronger team, he was willing to soak up pressure and hit them on the counter. Aidan had absolutely no issues with his goalkeeping situation. Rossbach and Myhra were both gifted 'keepers in their early 20s. Rossbach had been capped 20 times at Under 21 level, and Myhra wasn't terribly far off Sondre's level. Both 'keepers were comfortable with the ball at their feet, able to do their part in Aidan's system. Versatile wide defender Parr would play on one side or the other. Hard-working and committed, he exemplified the type of player Aidan wanted in the team. If Parr played on the right, either Våge Nilsen or Lindquist would man the left. Aidan could choose from four solid center backs. Hovland was likely to be on the team sheet every week. Big and strong, he was one of the league's top defenders. Against teams with fast strikers, Amundsen would probably get the nod. Knudsen and Lindgren were also more than capable. Lindgren was the best passer of the four, and he was also the club captain. Typically, Aidan lined his team up with three central midfielders. One shielded the back four, while the other two played farther forward. Lindgren and Våge Nilsen were both able to fill the more defensive role, and so was Gjerstrom, an exciting young prospect who, like Lindquist, had been with the team since his schoolboy days. Classy Klaussen was the side's playmaker, while Berg shuttled back and forth, moving into the channels and dropping back to do his part defensively. Aidan was also impressed with the young trio of Tronstad, Vetlesen, and Børkeeiet. All three of them had forced their way into the manager's plans by applying themselves so professionally in training. Aidan's 4-1-4-1 used advanced wide men. Vindfjell was a tricky dribbler with a sterling work rate. Either he or pacy veteran Halvorsen would start on the right wing. Ulland had been the sensation of the pre-season, scoring goals himself and setting up his teammates with equal aplomb. Lundevall provided depth at both positions. Omoijuanfo was a complete forward, big and strong and fast, much like Aidan himself had been. He had scored for fun in the friendlies. Børven was a more than capable relief man, and he would pair well with Omoijuanfo when Aidan set his team up with two forwards. Vindfjell could lead the line in a pinch, and there was a flashy young striker, Sebastian Pedersen, in the Under 21s. Egil Meland expected Aidan to bring the team home close to the top of the league. The oddsmakers believed this was a fair expectation, and Aidan did too. Rosenborg, as usual, were expected to win the title. Hopefully, the Blues could give them something to worry about.